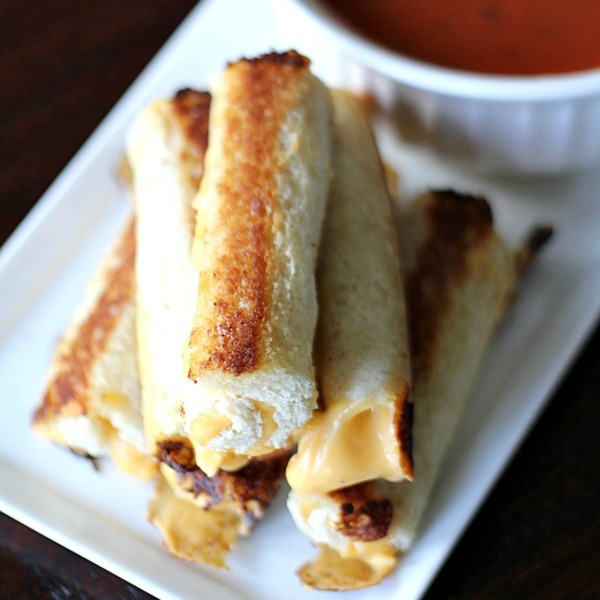 Take your grilled cheese sandwich to the next level with this easy roll-up recipe! My kids love to make these for lunch and then dip them in a bowl of soup for the perfect meal! With a sharp knife, cut the crusts off each piece of bread. Using a rolling pin, flatten each piece of bread. Place a piece of cheese on the bread and carefully roll up the cheese inside the bread. Repeat with the remaining cheese and bread pieces. In a medium skillet, melt butter over medium heat. Place roll-ups on the skillet and let cook on one side (about 2-3 minutes). Carefully flip the roll-ups over and cook on the other side for another 2-3 minutes. Remove roll-ups from heat and serve.